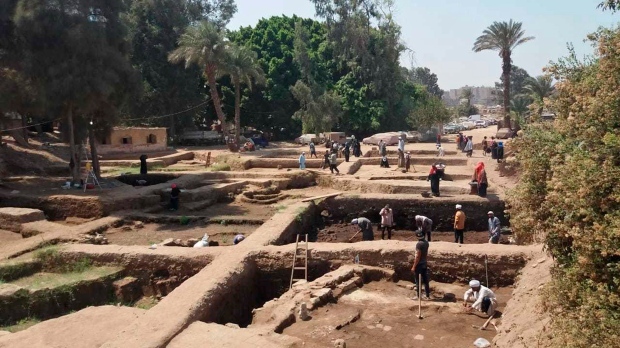 CAIRO -- Egypt says archeologists working at a dig in Cairo have found several fragments of stone slabs with inscriptions dating back up to 4,000 years. The Antiquities Ministry said on Tuesday that the artifacts were the latest finds in eastern Cairo's Matariya neighbourhood. Egypt frequently announces archeological discoveries, hoping this will spur interest in its ancient treasures and revive tourism, which was hit hard by political turmoil following the 2011 uprising.